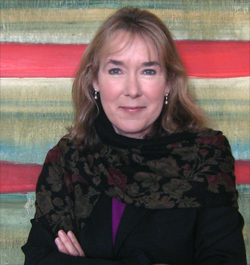 Leslie Cockburn was born in San Francisco and is a graduate of Yale University. She began her documentary film career in 1980 at CBS Reports. She directed and produced several films for PBS Frontline, including Inside the Cartels and The War We Left Behind. She directed and produced Peter Jennings Reporting From the Killing Fields. Her awards include the Robert F. Kennedy Award, the George Polk Award, the Columbia Dupont Award, the Overseas Press Club Award and the Emmy. In 1997, Ms. Cockburn co-produced The Peacemaker starring George Clooney and Nicole Kidman. She was a Ferris Professor of Journalism at Princeton and has produced dozens of segments for 60 Minutes, in Afghanistan, Pakistan, Iraq, Colombia, Zimbabwe, and Russia. She began work on American Casino in January 2008, when she and her husband Andrew, who co-produced the film, recognized the signs of a potentially devasting financial collapse from the subprime meltdown. She lives in Washington DC.